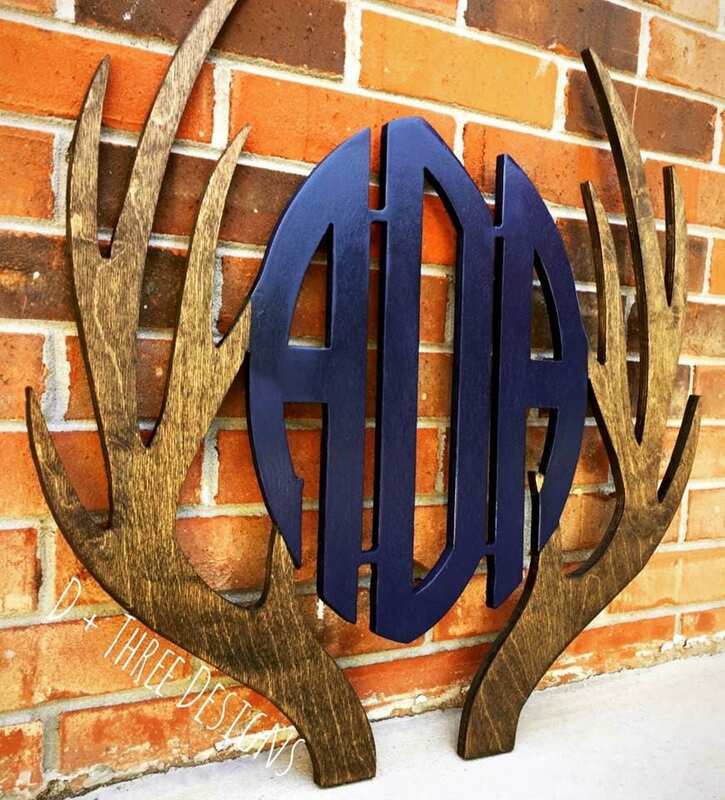 This painted and/or stained two color combo antler border with a triple letter monogram piece is 24” in size. The monogram has a large antler border and then the monogram letters of your choice. Your monogram will be cut from 1/2" birch wood, sanded, painted/stained in your choice of color and distressed. The font will be the same as what's pictured. Other fonts are available just message us! 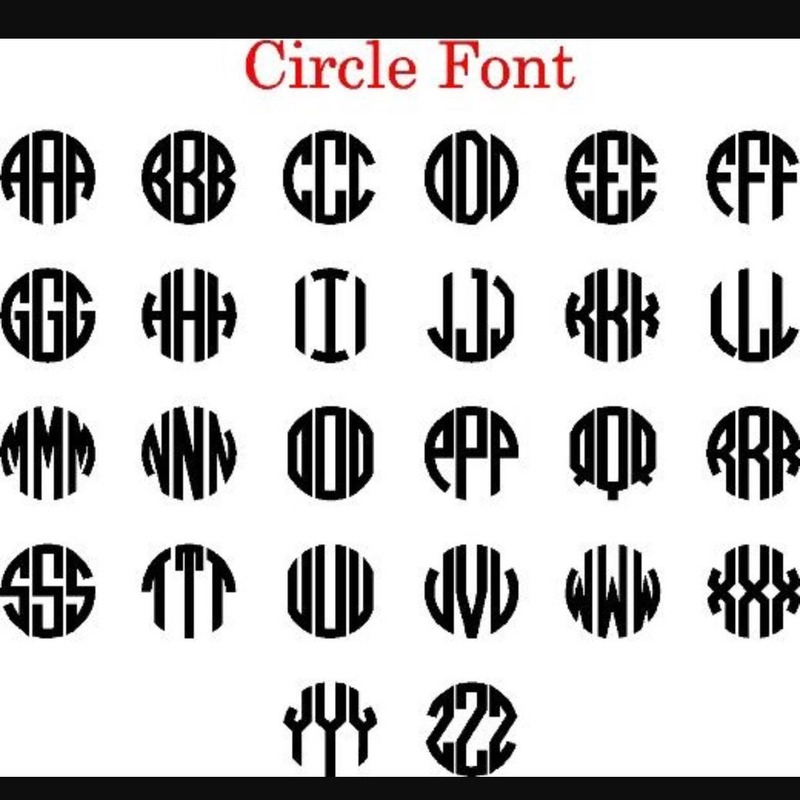 Please let us know what monogram you want at checkout in the Notes to Seller box. 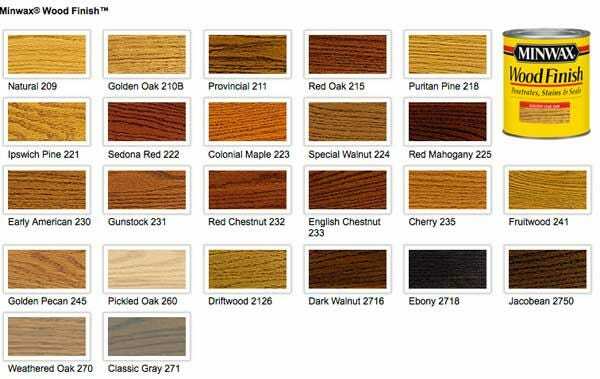 To select the paint color, look at the photo of the paint chart within this listing and pick the color number. 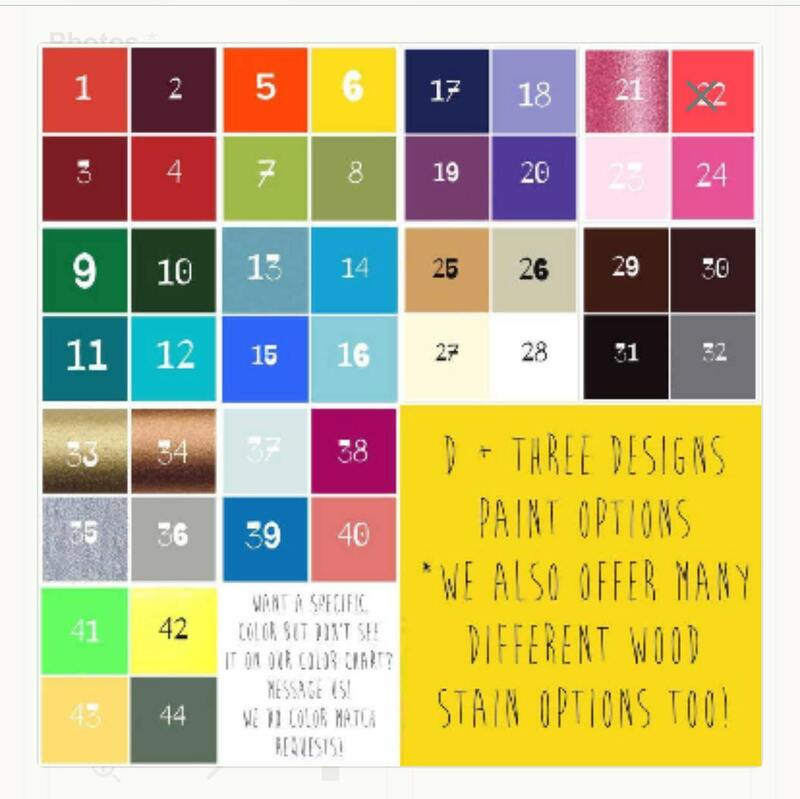 When you check out/purchase please include the paint number, light stain, or dark stain you would like in the "NOTES TO SELLER" box. Beautiful and just what I wanted. Nicely done.